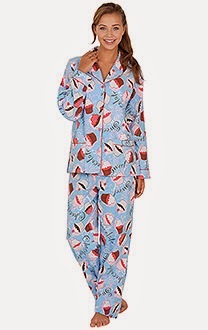 Never have to complain about having crumbs in the bed with these pajamas. I love Pajamagram and have at least three sets from them. They are one of the coziest pajamas I have ever owned. Unfortunately not this cupcake one but it's on my list.